Rebecca Lieb is a Vice President at Econsultancy, one of the most famous and biggest communities in the world for digital marketing and ecommerce professionals. Previously, Rebecca was a VP & Editor-in-Chief at The ClickZ Network and was running the redoubtable at SearchEngineWatch.com too. 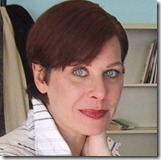 She is also an author of the book -“The Truth About Search Engine Optimization”. You can follow Rebecca on Twitter, LinkedIn, Facebook or good old Google. R: It was inevitable. Both my personal and professional lives are inextricably meshed into the Web. I spend nearly all my working hours online (I know, I know!). So as soon as various forms of social media began to bubble up around the edges of the Internet, I was on board; participating, experimenting, watching, observing and listening. R: The consistent part, really, is that it’s not terribly consistent. Rather like real life, you can spend a day, or two, or three, in intense dialogue or collaboration with a person or project, then have to move on to other things. Which is not, of course, saying you won’t return to Person A or Conversation B. I don’t really plan activities. Rather, I talk when I have something to say, and react when someone says something interesting, or poses a question I can respond to, or there’s a conversation I’m interested in participating in or feel I have something to contribute to. Really, it’s like being social in the real world. You’d rarely plan in advance what you were going to say at a dinner party, right? Some days are, of course, more social than others. You can be out there posting up a storm one day, and the next be so subsumed in another project you can’t find the time to tweet even once. Both are perfectly OK.
G: What are your favourite social media hang out sites? R: I’m using Facebook a lot more than I was in the past for both business and personal reasons. Since I work for a UK based company, LinkedIn is more important for keeping up with business contacts outside the US – there still seems to be that business/personal separation over there that Facebook has largely managed to erode here. Twitter? Of course, but I almost never visit the actual site. That said, Tweetdeck is usually open on my laptop. G: How are you keeping up-to-date with social media environment ? R: We take social media very seriously at Econsultancy. We have a social media marketing manager, we can put a dollar value on a traffic referral from Twitter, we publish research on the social media topic and blog about it regularly. We train marketers in social media on a global basis. In a very real sense, you could say keeping up with social media is what I do for a living. G: How would you define a Social Media Citizen? R: Someone who participates in social media, most likely on a regular-ish basis. Given Facebook’s membership stats, this encompasses a huge slice of the global population. G: What are your favourite Social Media Citizens? I’m going to stop now, but that doesn’t mean a whole lot of other people shouldn’t be on this list. G: What are your favourite Marketing/PR tools on social media? R: Changes all the time. And to be honest, we’re not there yet – particularly in the measurement department. G: What are your Top 3 secrets of social media marketing? G: What do you see in the future for the social media? R: Honestly, I’m not married to the term one way or another. But will digital media continue to become more social and interactive? Absolutely. The exciting part is it’s certain to do so in ways we haven’t fathomed yet. That’s the really exciting part! G: Describe yourself in five tags? R: Busy, passionate, geeky, multifaceted, redhead. G: What don’t you like about social media? R: All of us have numerous personas. You’re one person at work, another to friends and family, and still another as, say, a member of a sport team, or a volunteer group, or someone who owns or uses a specific product. My growing frustration with social media is the inability to manage or to separate all the selves who want to be out there participating in multiple conversations with all various tribes they’re part of, perhaps even in languages other than English. It’s just to hard to do that. I mean, how many Facebook or Twitter profiles does anyone want to have – or to manage? On the other hand, how do you not bore your friends when you’re posting something professional, or seem unprofessional if you’re chatting with intimate friends? Our identities are going online very quickly – but we all have multiple personalities. Social media is not yet well adapted to handle them. G: What is the funniest/most unexpected thing that happened due to social media? R: Just to prove that social media isn’t as new as you might think, the most unexpected thing online happened to me the very first time I went online with the old Mosaic browser. There weren’t a lot of places to visit, so I went to a store specializing in Macs. In the chat room there was one other person – a college classmate I had lost touch with. Primitive – but certainly an eye-opening form of social media!